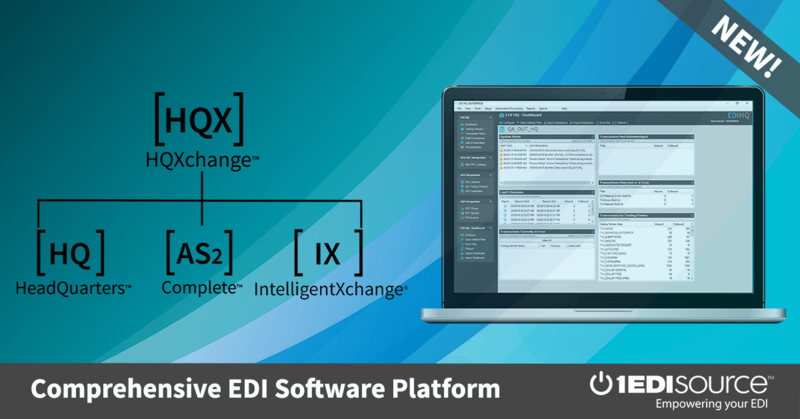 EDI/HQ™ is the most robust EDI Translator on the market and has many features that can benefit your business. One of many features is the individually customizable dashboard in EDI/HQ™, because EDI/HQ™ is not only for the EDI Coordinator, it’s for everyone needing its information. Wouldn’t it be nice to come into the office with all the information in front of you without having to print reports or search through e-mails? By using the EDI/HQ™ dashboard you will have all the information that you need in order to proceed with your daily tasks. EDI/HQ™’s dashboard lets each individual user customize the widgets per their own specifications. Since different users have different widget requirements, they can each determine their own best dashboard configuration. For example, the EDI Coordinator may need the dashboard widgets to report open Functional Acknowledgments, EDI transactions currently in errors, and system alerts. The sales manager may want to have widgets for published reports for inbound Purchase Orders grouped according to customer, and maybe also a pie chart showing the number of purchase orders received for each customer. And the shipping manager may need a report with all of “today’s” shipments for each trading partner. By utilizing the customized dashboard, each person can have everything he or she needs. No more phone calls to the EDI Department or IT Department asking someone else for the information. Please call your consultant today about this wonderful feature and to hear about the many new features in EDI/HQ™!